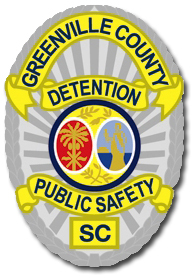 The Greenville County Detention Center is a division of the Greenville County Department of Public Safety. The Detention Division provides secure confinement for both adults and juveniles who the Courts have ordered to be detained. Confinement at the Greenville County Detention Center and Juvenile Detention Facility will be humane, safe, legally compliant, secure, sanitary, and citizen-centered. 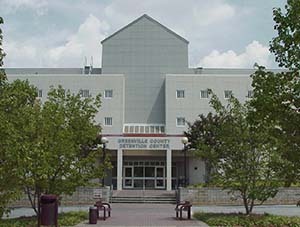 The Greenville County Detention Center and Juvenile Detention Facility are dedicated to and will practice humane, safe, legally compliant, secure, and sanitary detention and incarceration. Detainees and inmates will be properly classified, supervised, and humanely treated. Medical and Mental Health services will be competent and legally compliant. Detention operations will be humane and cost-effective. Detention personnel will be professional and citizen-friendly. Management and staff priorities will include realistic career development, participation in decision-making, continuous improvement, strategic planning, employee development, training and safety.